In the first part of this article we have compared practically all accessible sets for that moment, now has come time for the review of novelties, blessing there were not so little of them. 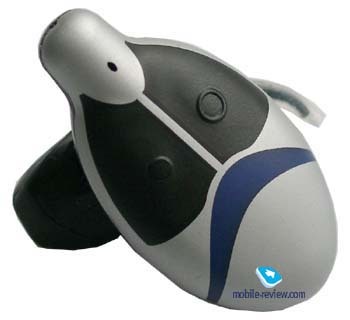 Here are headsets from the famous companies, and products of small Asian manufacturers. However, let's tell about all of them in order. 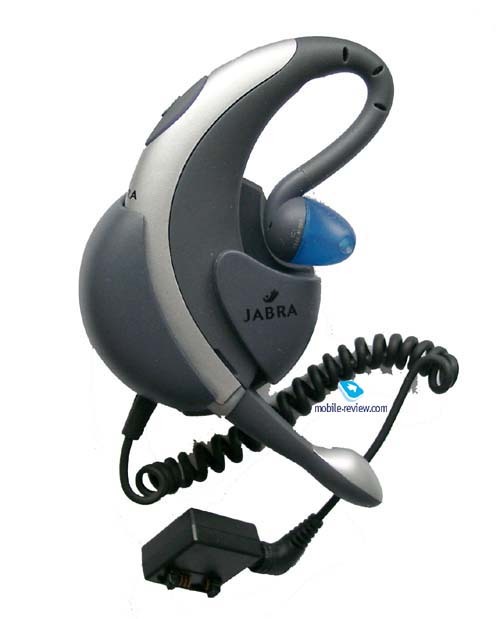 Jabra BT200. Many readers have reproached us that this set has not been included in the first part of the review, there was one reason for that, its absence in Russia. 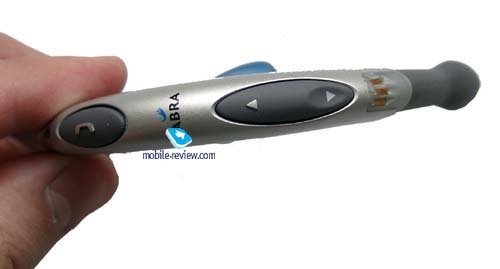 To test this device it was possible due to friend who has purchased this product in USA. A flexible design of the ear hook is a plus of this set, it's very easy to put on the set. The minus is the fact that this set not always, or rather it doesn't fit well on everybody (different anatomy), it is necessary to check up it before purchasing. Even in the case if the set doesn’t' approach to you ideally, inconveniences will not arise, it is possible to carry it for a long time (weight: 23 grammes). And it is possible as on left, and right side. 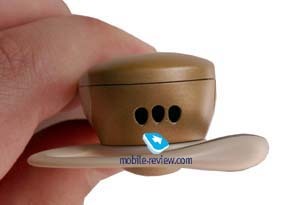 The microphone has silicon tip which is inserted into the auricle, it does not injure the ear, the design is thought over. The set has a coupled key of volume adjustment, and also a key of call send with the image of phone, it also allows rejecting a call. Functionally this product is similar to all other devices, there are no any extras, registration with phone passes easily. The set works with all phones submitted on the market, any there are no any exceptions (we'll make a slip in speaking, if phones are compatible with other bluetooth-headsets). In the set there is a charger connector (approaches the standard charger from Nokia). According to the statement of the manufacturer the operating time in standby mode is up to100 hours, in talk mode up to 3 hours. Time of the full charge is about one hour, and the operating time is about one day, one and a half at 25 minutes of talking. In our case the standard kit included the adapter for connection with phone which has not been equipped with Bluetooth technology. When you do not use the set, you can insert it into the adapter, then it switches off. There is a cable from the adapter to phone, on its end there is standard connector, you have to choose the adapter for concrete model of the device already in shop. As a whole, with the adapter or without it, the set worked equally. There were problems with recognition of voice labels in the street, sometimes the set reproduced extraneous sounds that disturbed during talking. As a whole it can be estimated, as average by quality of manufacturing. 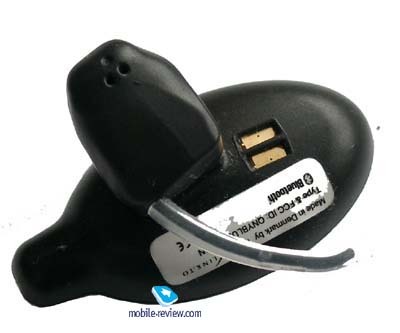 The price in 80 dollars including the adapter for phones without Bluetooth expiates the lacks. Bluespoon. 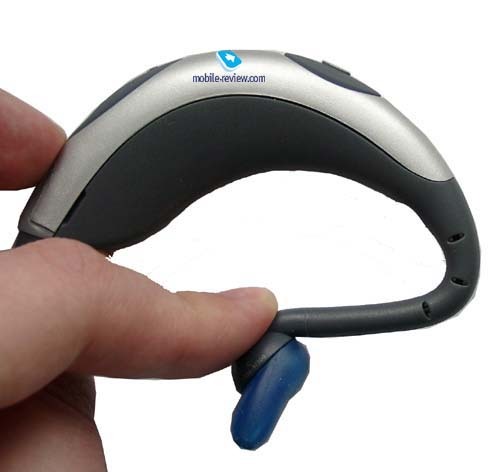 A set from Nextlink with Bluespoon name, in due time it has been advertised, as one of the most technologically advanced, it was explained by that in this device did not use microphone. So, the sound from said words was located from bones of the skull and then amplified was sent to the interlocutor. Such organization could guarantee practically ideal protection against extraneous noise, especially against street noise. In reality the set began to produce with usual microphone, but the case has remained from the old version. The anatomic construction of the set, necessary in case, when there is no built-in microphone, has played malicious joke with it. So, the device can be carried only on the right, as against other sets the side change is not stipulated. The second shortcoming - the construction from plastic is extremely rigid, does not rescue also the lowest weight among similar products (10 grammes). During first minutes, having put on the set, the discomfort is felt, after two hours it amplifies. Having walked with the set about 4 hours, your obedient servant began to feel real pain. The carried out tests on volunteers (8 various person, both women and men, various age and sizes) have shown, that everyone feel some extent discomfort when working with the set more than one hour. To put on set it is easy, it's enough to insert it in auricle and holding a short moustache to turn, it firs like a glove, correctly focusing microphone. But the distance from set to mouth is too great, in the street your speech is lost in the roar of cars, recognition is on average level. All this together does not give an opportunity to recommend this set to purchase. There are two keys on the set, they are enough easy for pressing at any moment, with their help in particular, is adjusted the volume during talking. The sound in speaker is pure, you always perfectly hear the interlocutor, but to tell about you the same is impossible, in the street the sound is frequently lost in environmental noise. Functionally the set carries out all functions, it is similar to other products. 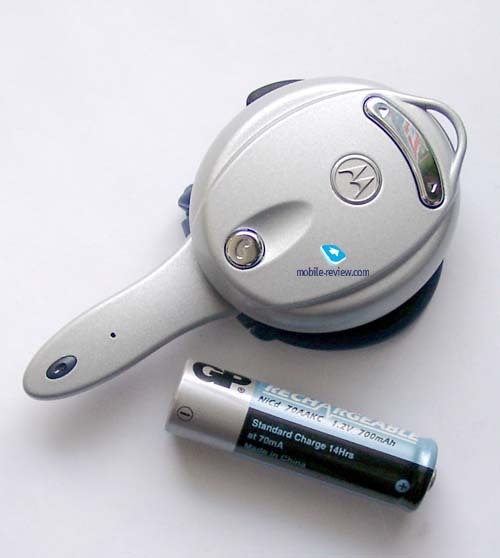 The built-in lithium-polymeric battery allows using the set up to two days at 20 minutes of talking. According to the statement of the manufacturer the set works up to 200 hours in standby mode and up to 4-5.5 hours in talk mode. To us it has never turned out to achieve close numbers to declared. The price of the set depending on the country can change from 200 up to 300 dollars that is impossible to name justified price. Into the standard kit is included desktop charger, it reminds a spacecraft. For fixing the sets in the charger is stipulated the rising clip. Not so long ago began to be delivered on the market the updated version of the set with prefix Digital . Two microphones on the angle to each other are built-in. One microphone locates your voice, the second one locates extraneous noise which in result are subtracted from the resulting sound transmitted to the interlocutor. The treatment is made by digital processor instead of analog, plus there is automatic volume and noise blanking adjustment. Field tests have shown, that the set really transfers a better sound, but problems with the design have remained, it is extremely inconvenient. At the price in 340-360 dollars the purchase does not look successful. Nokia HDW-2. 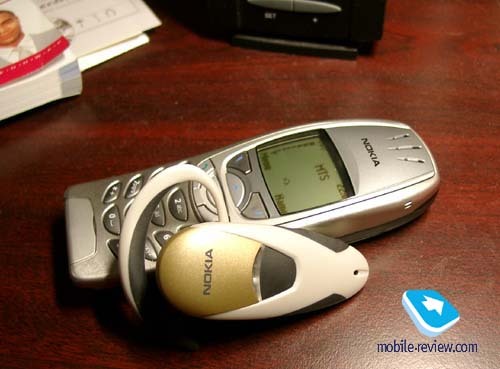 The set which occurrence waited many users of Nokia phones, as the work with unoriginal devices has been very complicated if not to tell impossible. For example, with Nokia 3650 works only this set, and Sony Ericsson HBH-60, all others to some extent don't behave correctly. Among the virtues of the set are its small sizes, and also weight. Despite of rigid design of the ear hook, discomfort is felt only first minutes, then you quickly adapt. Into the standard kit are included two holders, for people with various anatomies. Each holder is possible to be put on for use, both on the left, and on the right. 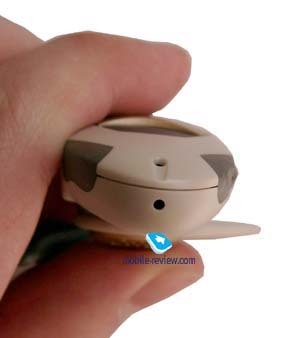 Having opened a compartment on the set, you will see small demountable nickel-metalhydride battery of 170 mAh capacity, it ensures the functioning about two days at 25-30 minutes of talking. The plus of such accumulator is that in winter it, as against lithium-polymeric batteries does not freeze. Time of the full charge of the accumulator is a little bit more than hour. On the top side of the headset there is a key of volume adjustment, it isn't absolutely convenient, due to small size. Much more comfortable is frequently used call answer and activation of voice dial key. 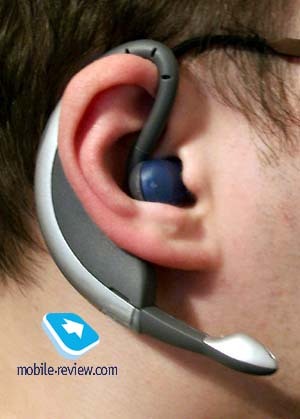 On the headset the separate key of switch on/off is stipulated. 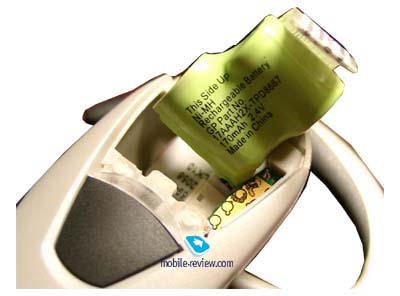 As against the majority of products which by default have a pin-code equal to 0000, in this product the code is underlined in the instruction. It’s also 4 numbers but if you use several devices, and the headset is registered only on one, it is necessary to remember it. 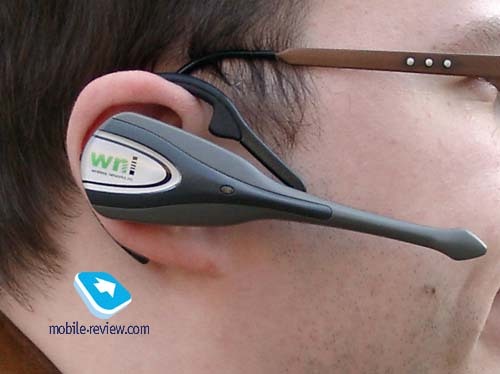 By the way, the headset can be registered at once on 8 devices, but works simultaneously only with one. First of all it tries to connect to the first device by default. In conditions of noisy street or such rooms the headset have proved itself to be the worst among other products, the interlocutor practically does not hear you. Attempts to adjust set's inclination do not bring effect, thus you hear all perfectly. Into the standard kit, as against other sets, the charger isn't included, it allows maximum reducing of the product's price. The price of Nokia HDW-2 makes about 120 dollars. 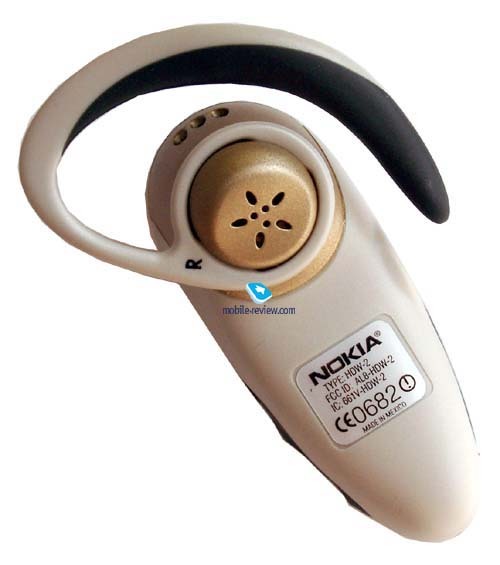 For the serviceability check of this headset were used such devices, as Nokia 6310i, Nokia 8910, Siemens S55, Sony Ericsson T610. 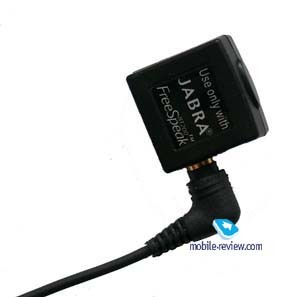 Connection has perfectly passed in all cases, but further the headset worked stably only with device from Sony Ericsson. With other phones were observed connection breakages, without automatic repeated registration of the set, there were problems with voice dial. The effective work distance in the flat is also insignificant, up to 3 meters, and any obstacle (a glass door) has an adverse effect on its work, connection interrupts, there is no automatic registration at close headset presence. 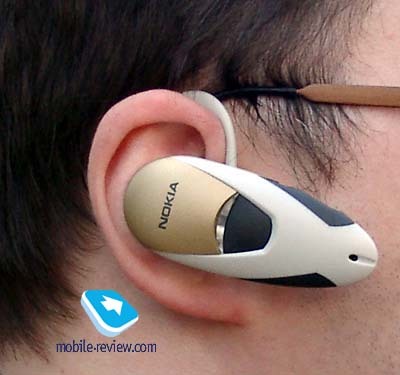 Despite of attractive design, good cost, the product from Nokia does not maintain competition with other devices, it is least successful, and it's impossible to recommend it for purchase. It is possible to replace it with Sony Ericsson HBH-60 for use with phones Nokia. 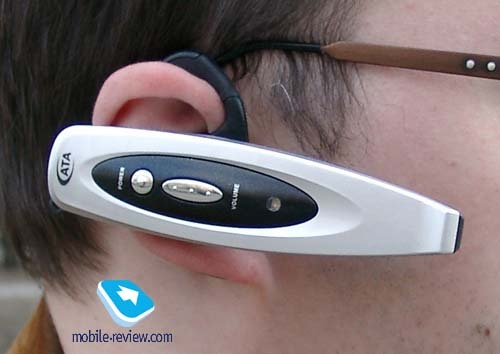 Motorola Bluetooth Headset II. 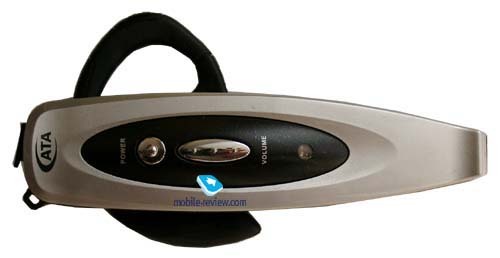 The second version of the headset from Motorola company is externally identical to the previous product, changes basically have touched the software. According to the company's statement, is improved the compatibility with phones of various manufacturers, now the set works correctly almost always. In our case we have tested the set with plenty of the devices, any problems have not been revealed. The operating time has increased, instead of day the set works about one and a half, at 25 minutes of talking. The cost has remained former and makes about 120 dollars. The photos of the set, its detailed description you will find in the previous comparison. We shall note only, that it is the most qualitative product in the bottom price segment from the first three manufacturer. WNI. To noname devices class, concerns the product from WNI, small company from Asia. For a basis on my internal sensations it has been taken Ericsson HBH-15 headset, similarity, as by design, and by organization of management is striking. At an end face settles down the three-position key, it serves for volume adjustment, answer or rejection of incoming call. Providing similar functionality as other sets, the product from WNI involves with the price, it's about 100 dollars in Moscow, in Europe the set can be found for 50-60 dollars. The charger is included into the standard kit . 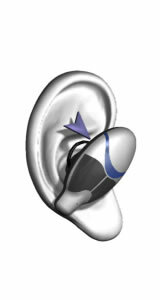 The set is possible to be put on both the right and the left ear. There is one ear hook, but it is very simply thrown in groove. The operating time of the set is about 1.5 day at 20 minutes of talking. The manufacturer declares that the set provides up to 4 days of work in standby mode and up to 3 hours in talk mode. So high results in are not real in usual practice, it is more likely advertising statements. The set transfers sound quite decently, it gives odds to devices which are less in sizes, affects the fact , that, the microphone is approached to mouth as much as possible. Among all products from anonymous manufacturers this is the most successful, as in accuracy copies the set from Ericsson. As far as the purchase of this set is justified at presence of the original one, which costs a bit more, I do not presume to judge and give this opportunity to you. ATA BT20. One more little-known manufacturer, but here is used the original design, it's enough massive. The set has a holder from plastic, it rotates. 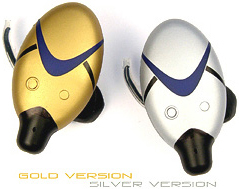 The standard kit includes ear hook for both left and right ears. It's not enough simple to carry this headset, as it nestles strongly to the ear, though it is possible to get used to this. The weight of set is 30 grammes, it is not felt. On the case there are answer key and the coupled key of volume adjustment. They are executed from plastic and are badly fixed, so if you sharply turn aside the head you will hear jingle. If run with this set, the jingle of construction elements will become constant. 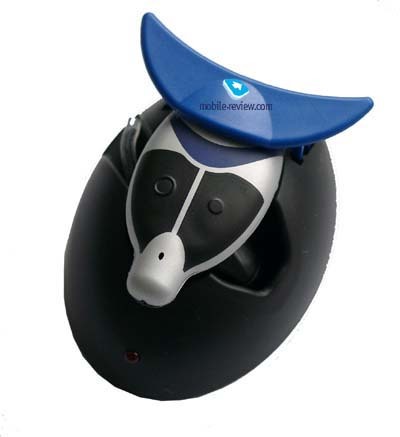 The lithium-ion battery according to the statement of the manufacturer allows to using the set up to 2 days, and to speak up to 3 hours. In real conditions the set has worked about one day at 20 minutes of talking. Time of full battery charge a bit less than 1 hour, the charger is included into the standard kit. The given set, as well as all similar devices, provides comparable functionality with others, at cost in 100 dollars it does not look attractive for purchasing. Against it speaks, as lack of construction (fastening of elements), as not modern design, big size. 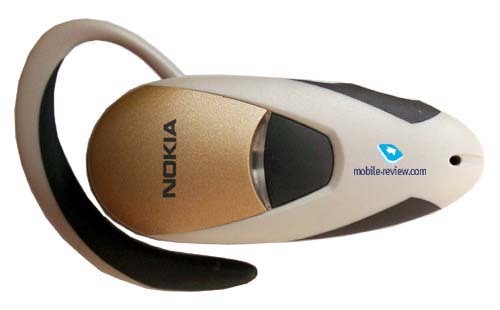 Unfortunately, so prospective headset from Nokia could please only with nice design, but completely not with quality of work, even low cost does not play a role in this case. 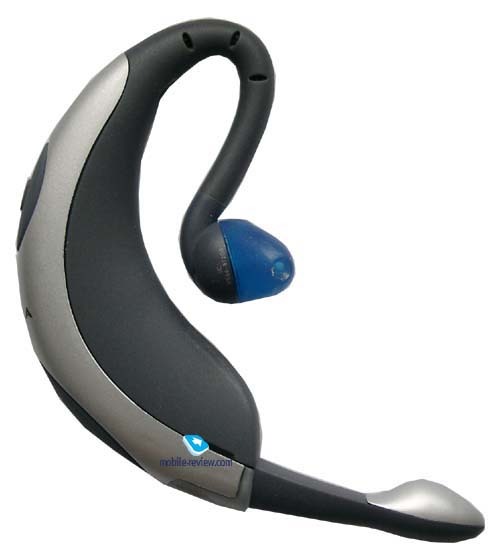 The opposite case, Bluespoon headsets, here is high cost of product, but its ergonomics are those, that you should use the set from time to time, or to get used to pain in ears. Anonymous manufacturers actually could not surprise with anything, low price, standard functions, and all together looks not so successful. 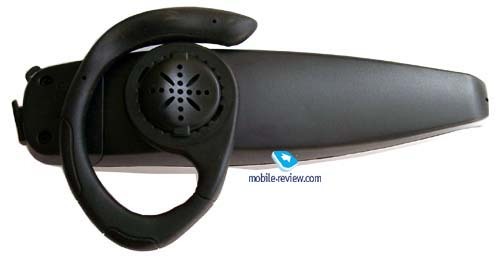 Motorola has pleased with improved headset, more exactly device released by ODM-contract for it. 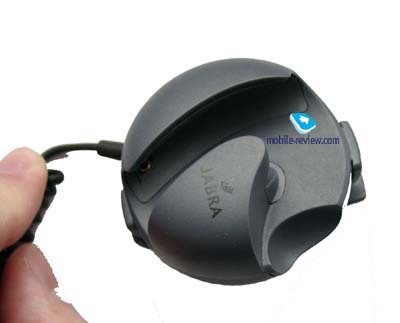 Enough good on the general background of devices submitted in this part looks Jabra BT200, it provides an average level of comfort and comprehensible quality of talk transfer, plus it has very low cost. 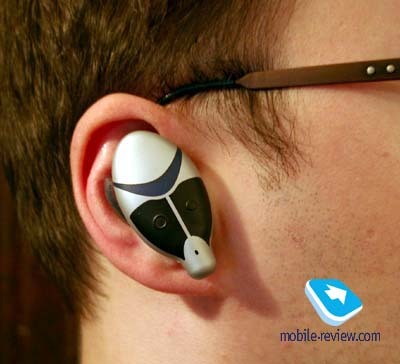 On results of two parts of bluetooth-sets review we are compelled to ascertain the fact, that Sony Ericsson HBH-60 is the best on the market by functionality and quality, and till now there is nothing better. In the bottom segment it is still allocated Bluetrek, it is a good choice. In Moscow these sets are sold for 150 dollars, in our opinion the price is overestimated equally twice, that kills all advantages of this set. In the following part of comparison of such devices we shall tell about HBM-30 from Sony Ericsson, probably about HBH-35, and also about products from other manufacturers, famous and not. To wait this part is worthy at the end of June. P.S. If your company is a manufacturer of bluetooth-set or a supplier, and the product moved ahead by you has not got in the review write to us, we can include your device in the plan of testing.